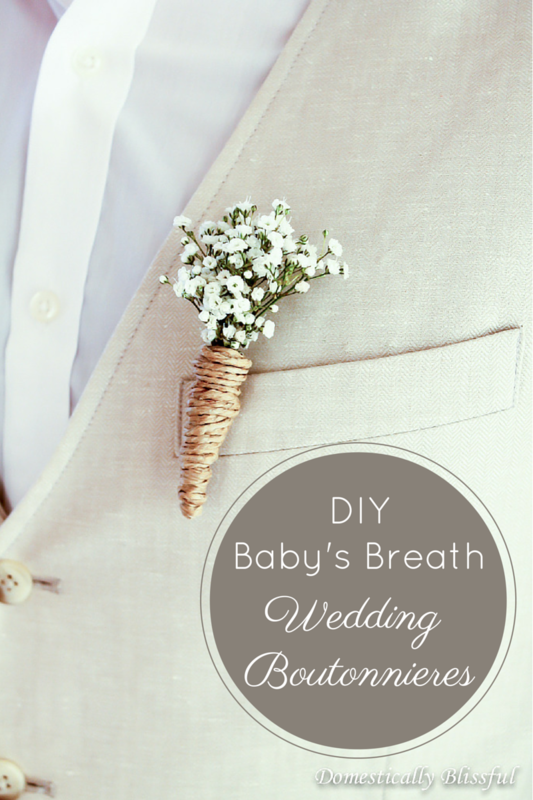 Lou Lou Girls > craft > DIY Baby’s Breath Wedding Boutonnieres! Hello again all of you lovely Lou Lou Girls readers! I’m Giustina, last month I shared with you a little DIY for Christmas Wrapping Paper. 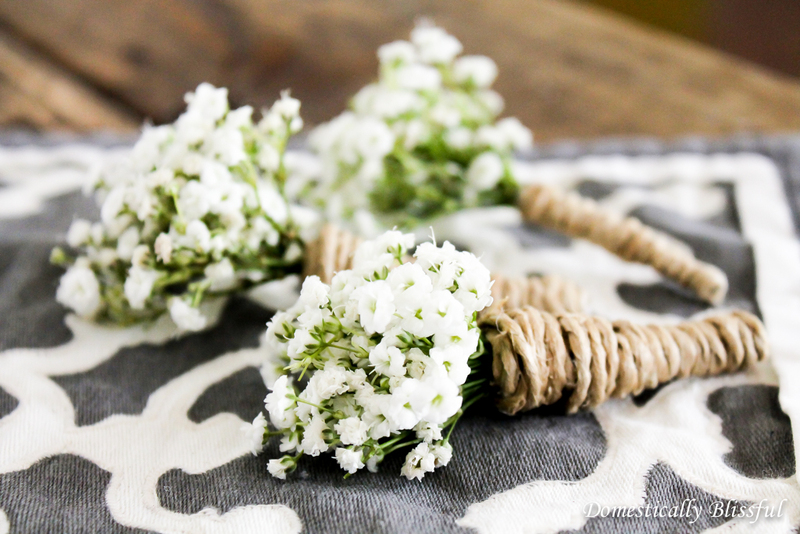 Today I’m popping over from Domestically Blissful to show you how to make DIY Baby’s Breath Wedding Boutonnieres for your special day! 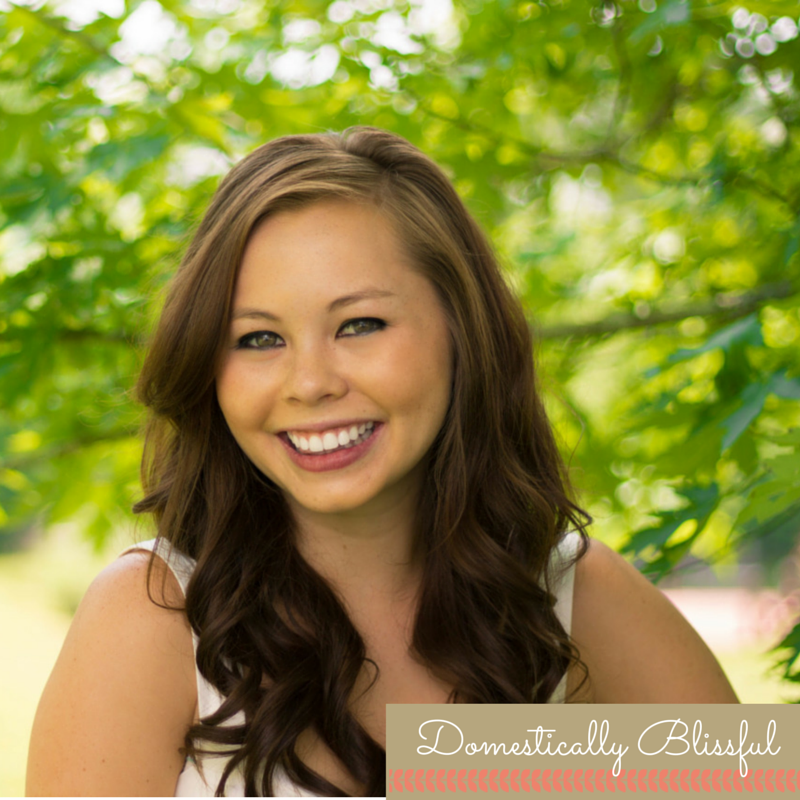 For those of you who have visited Domestically Blissful before you know that I like to blog about weddings. 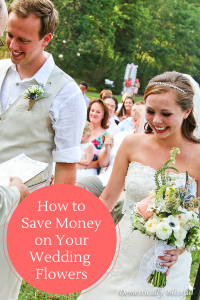 I love sharing tips & tricks, crafts, decor ideas, & advice that will help you create the wedding of your dreams on a budget. So since Christmas is over & wedding season is just around the conner I thought it was time to share another Wedding DIY project for all you brides on a budget! A little bit before Christmas I shared a post on my blog about how to save money on your wedding flowers, so I figured it was fitting that my next wedding post was related to flowers as well! This would make a fun little project for you & your bridesmaids to work on before your wedding & keep stored in your fridge until the big day! 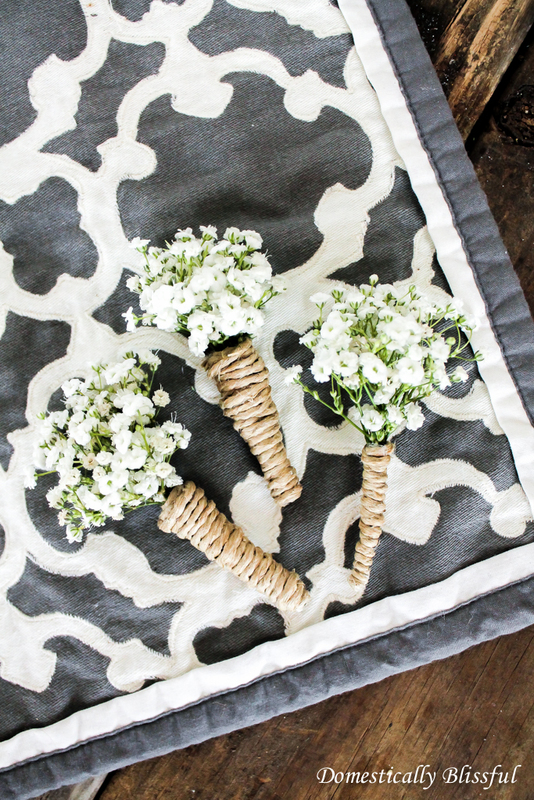 Baby’s Breath Green Floral Tape Hot Glue Gun & Glue Twine or Ribbon Pins First, cut off a branch or two of baby’s breath so that the stem is 1-2 inches long. Then tightly wrap the green floral tape around the stems of the baby’s breath. If you decide that the stem is too long after wrapping the tape around it just cut off the excess. Next, hot glue the end of the twine to the green floral tape under the flowers at the top of the boutonniere. Then wrap the twine around the floral tape glueing as needed. If you want it to look more like a cone rather than a stick just wrap the twine a few extra times at the top near the flowers. 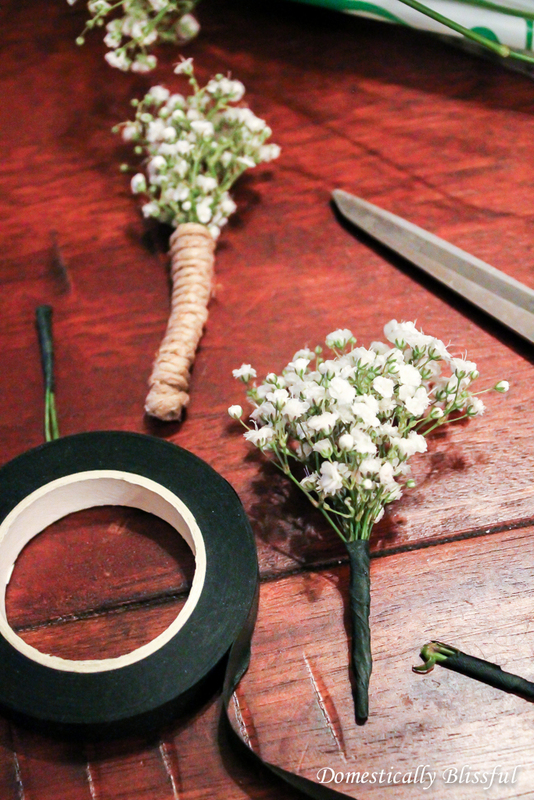 Glue the end to the bottom of the boutonniere & cut off the excess twine. I decided my favorite boutonnieres were the ones where I started the twine at the topped, wrapped it down, & then back up giving it a cone appearance. I spritzed my DIY Baby’s Breath Wedding Boutonnieres with some water & placed them in a plastic container in my fridge. I bought my bouquet of baby’s breath last Wednesday from Publix & they were 3 for $12. That night I made two boutonnieres & the next day I took the pictures seen on my husbands linen vest. I then put the rest of the flowers in a vase of water. Then on Sunday I made 3 more boutonnieres from the same bouquet of flowers that I bought on Wednesday for the pictures above. 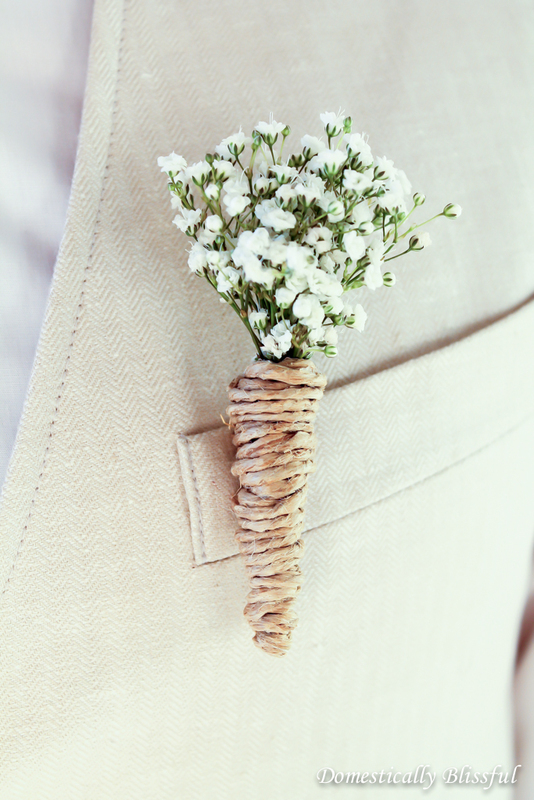 To be on the safe side I would suggest making them a day before your wedding, but you could always do a test run a month or two before your wedding to decide how soon you want to make them & how you want to preserve your DIY Baby’s Breath Wedding Boutonnieres. If you love crafting I’d love to have you follow along on Instagram, Pinterest, & Facebook where I post lots of fun craft & DIY projects! 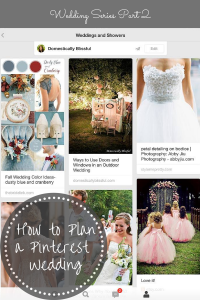 If you are looking for more wedding decor crafts I’d love for you to swing by Domestically Blissful! Here are a few of the wedding posts that you can find on Domestically Blissful: Thanks again for having me Lou Lou Girls! Happy crafting! 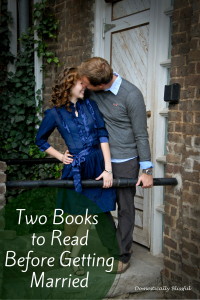 Sharing on my FB page…thanks for linking up to Inspiration Monday! I got married there earlier this year and cannot say enough positive things about the entire experience of working with their manager and the service, food and Las Vegas Weddings venue. The coordinators managed my wedding, and were impeccable wedding Angels. What a lovely inspiration!! How beautifully you designed this wedding boutonnieres; really incredible. Thanks for sharing this creativity with us.xoxo…..